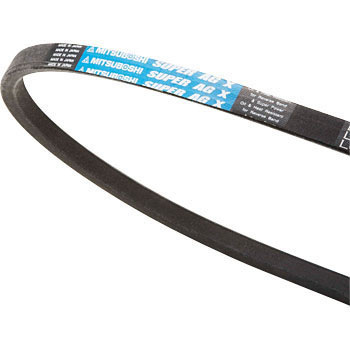 It is used for updating V-belts of agricultural equipment. The manufacturer's product is really good. The price is low and it is good for the wallet. Normal belts are not used in general, so they are mostly using this super or other company's red. This review is about item#68444713. This review is about item#68444573. I used it to replace the bell of the combine. There is no problem in particular. This review is about item#68444591. Although it is an old snow-removing machine, I am still working as active I replaced the belt. Shipment is fast and I am very satisfied. This review is about item#68444643. It seems to be more durable than the previously released gold belt, I think that it is considerably more durable than the standard item. Although I think that it depends on how it is used, although there was an impression that the standard product can cut off immediately, this is pretty long-lasting, I have lasted long as I remember when I changed. I am satisfied with the quality above the price. This review is about item#68444582. This review is about item#68444625. I used it for combine. There was no designated AG of combine in the near field, I used it with ten for the time being, but it was useless for about 10 hours. This time we replaced it with Super AG designated by the manufacturer. I used it for about 10 hours after replacement but it is good. The price was saved by about half of the nearby place. This review is about item#68444634. Although it was used for exchanging the belt of the snow removing machine, it is durable, and there is no particular problem. It is very durable and lasts long so it's safe to use it. This review is about item#68444521. Until now, LB or LC etc was specified, but performance became very good with one rank UP, I can not afford to buy it at a specialty shop, but the item of one rank up is at hand at the same price I am grateful to enter.